Suitible for most users. Includes everything you need to create a stand-alone FLAX website and/or host the Moodle FLAX module. It also includes two pre-built demonstration collections "The Best of Password" and "Image Guessing activity demo collection". Java Runtime Environment 1.6 or higher is required. 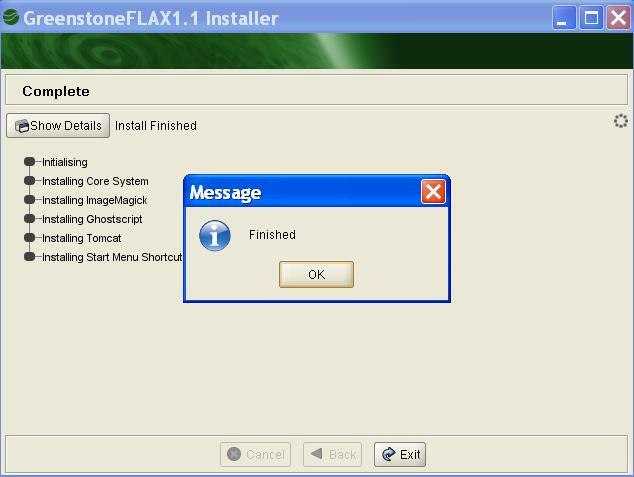 Note: if you install the FLAX server at the same location of a previous FLAX installation, please remove the two demo collections before running the installer (the two demo collections are located at <your-FLAX-install-directory>/web/sites/flax/collect). Java Runtime Environment 1.6 or higher is required. Installation may take several minutes. Under "perl-for-building", if you see "Non-standard location of Perl found", you must edit the file /usr/local/FLAX/build.properties by uncommenting the line #perl.path=/usr/bin (i.e., removing the # in front of the line). And then restart the FLAX server by issuing the command "ant restart" as shown in the following screenshot. 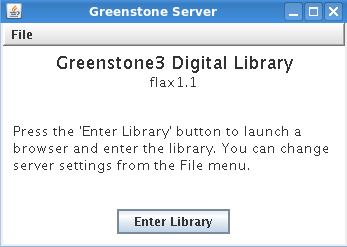 For users who are using FLAX in the standalone mode, the FLAX home page can be accessed at the url http://[tomcat_server]:[tomcat_port]/greenstone3/flax. 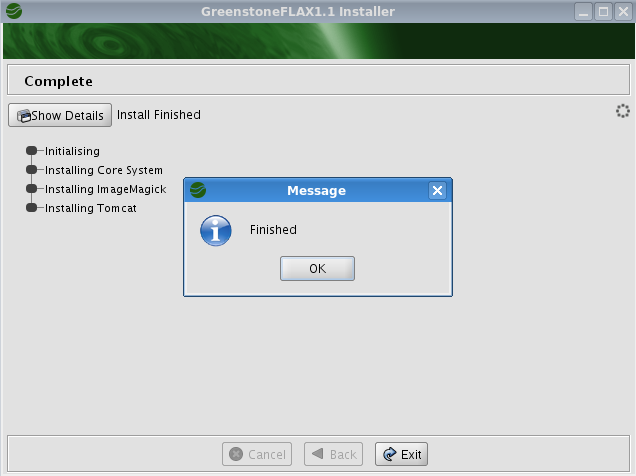 If you have accepted the defaults during the installation, it&apos;d be http://localhost:8080/greenstone3/flax. The module has been tested on Moodle 2.5.x & 2.6.x. See README.txt in the distribution for details. You need an Subversion client (1.5 or higher) to check out the source code. You will also need Java and Ant to run FLAX. Your Java version should be 1.4 or higher. We recommend Sun Java. You need the SDK (development environment). 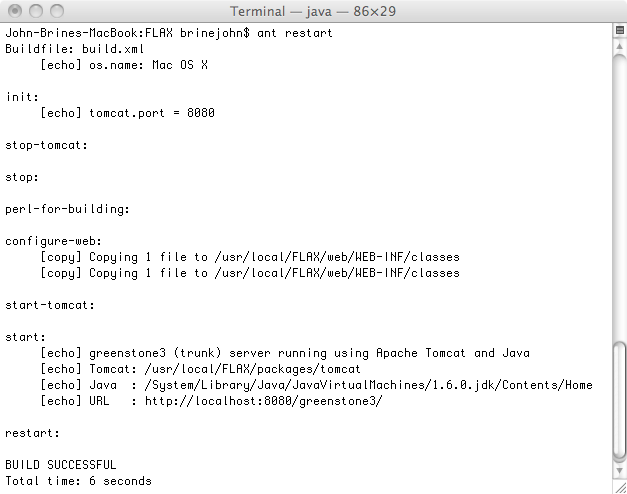 Set the environment variable JAVA_HOME to be the root of your Java installation. 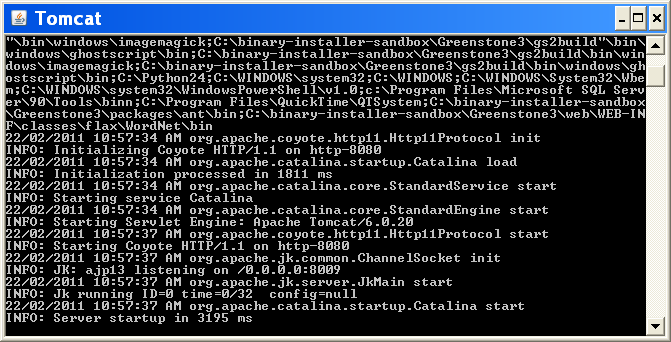 Ant (Apache&apos;s Java based build tool) can be downloaded from http://ant.apache.org/bindownload.cgi. Set the environment variable ANT_HOME to be the root of your Ant installation, and make sure the Ant executables are on your PATH. FLAX requires Ant 1.7.1 or higher. Make sure an SVN executable is on your PATH. 1) set the Tomcat server and port number (you can leave the default settings if you like). 2) find the line "with.jni=true". Comment out the line by adding a # sign at the beginning. 4) comment out "use.gnomelib.ext=true" and remove "#" from the line "#checkout.gnomelib.ext=true"
6) scroll further down near the end of the file, remove the "#" sign from the line #install.flax=true. 7) FLAX uses perl to build collections. 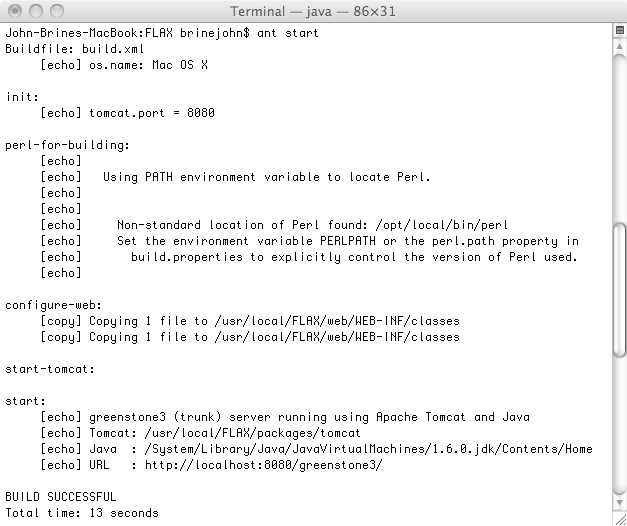 If your perl is installed in a location different than /usr/bin, uncomment and/or edit the line #perl.path=/usr/bin. 8) Unless you&apos;ve installed your own FLAX server, external servers will be used for things like collocation extraction, gloss generation etc. If your machine is behind firewall, look for the lines (proxy.host, proxy.port, proxy.user, and proxy.password) and fill in the proxy information. 10) For Windows users, Visual Studio is used for compiling. The VCVARS32.bat script needs to be run in the command prompt. Equally important, you need a Perl installation and put it on your system path. The &apos;prepare&apos; target will download additional code (using SVN and http), so you need to be online to run it. It will also ask you if you accept the properties set in the build.properties file before starting. which indicates the flax server has been installed properly. In the greenstone3 directory, you can run &apos;ant&apos; which will give you a help message. Running &apos;ant -projecthelp&apos; gives a list of the targets that you can run - these do various things like compile the source code, start up the server etc. Make sure a git executable is on your PATH. 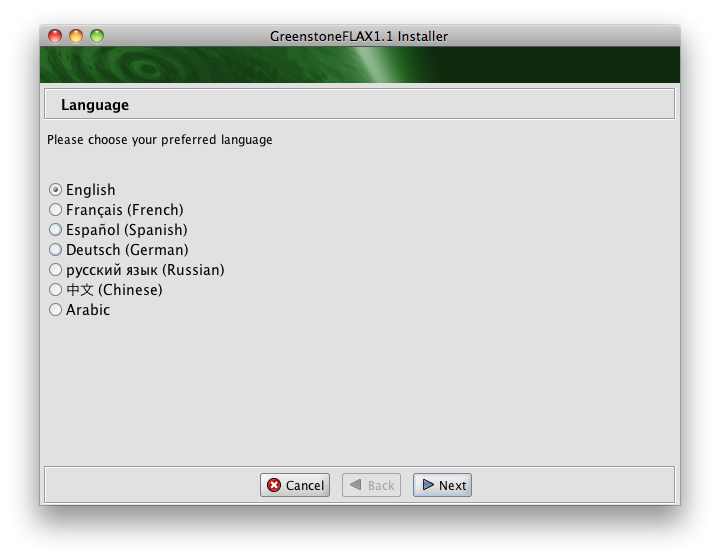 This installation contains the new FLAX Android library, activity template and activities contributed by Nan Wu. You will also need the Android Developer Tools (ADT) plugin for Eclipse.